Being connected to the right bank is an essential step for any small business owner to complete long before analytics consulting is ever needed. Banks are responsible for supporting your cash flow, and can create access to specific amounts of money at any given time. In order to make conducting a business as efficient and pain-free as possible, small business owners should take into account all of these questions before deciding on a bank. Big banking institutions like Citibank Business are not the only option available to small business owners. In fact, small credit unions could be a better option for some. Big banks tend to charge big fees to business owners. That can really drain business resources quickly. It can wind up costing you tons of business capital in the long run. Do not be too quick to write off credit unions for your business bank accounts. Credit unions for business offer the same services and could wind up benefiting your business for years to come. There are four areas that any business bank you choose should provide if they are to become a part of your implementation plan. These four areas they should help you in are optimizing cash flow, managing receivables, supporting growth and simplifying payments. If you want your business to thrive both now and in the future, you need to consider these areas. You want any financing solution you choose to meet these needs. If your business financing solution can help you optimize cash flow, mange receivables, support growth and simplify payments, you can be confident you are making the right decision. The first thing to ask yourself is if you need money from the bank in the form of a loan or line of credit. This is a vital step in choosing a bank, as each one will vary in terms of their availability of funds and interest rates. Small business owners may want to look towards local banks, as they often have lower interest rates than national chains. It is also typically easier for small businesses to secure loans from local banks because their size often limits their lending ability to smaller operations. How Will My Transactions Look? Will your business be making a high volume of transactions, or very large deposits? Many banks have limits to how many transactions one can make in a month, and for how much one can deposit into the account at a time. This is similar to most payment processing companies. Business owners need to understand how their transactions will look on a regular basis in order to avoid unnecessary fees and penalties. Along with keeping track of transaction patterns, one should make note of how much cash they will be able to maintain at any given time. Many banks today have strict minimum balance requirements that incur fees when not met. To avoid these bank charges, it is important for business owners to take a look at the size of the bank and compare it to their business. Of course, selecting a banking partner with lower minimums might be attractive to capital intensive businesses. Banking is becoming increasingly streamlined with the development of online banking and mobile apps. This should be an area of concern for business owners, just as it is when looking for Quickbooks alternatives. Does the bank have an easily accessible website? Do they have ATM’s near your business or physical locations nearby? Can you make mobile deposits? One should not have to take time out of a busy work day in order to make vital transactions. For any business owner, convenience is more than just a luxury. It’s a necessity. Although online banking and automated services allow a lot more convenience, it’s possible that this could also limit the amount of human interaction one gets from the bank. Business owners should then ask themselves if in-person customer service is important. Otherwise, you might just consider opening a virtual bank account. Building relationships with banks can sometimes mean the difference between getting loans or obtaining certain services. Certainly, different types of banks will offer different levels of interpersonal interaction. Depending on your needs, the customer service offered could play a major role in your banking provider choice. 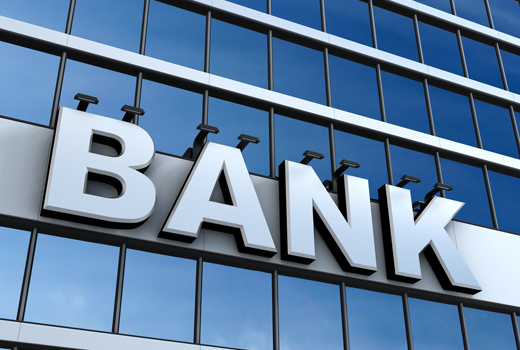 A bank goes much further than just being a cash crate to deposit assets into your checking account. They provide an organized list of your transactions for you to review, and provide businesses with capital needed to grow. Choosing the wrong bank, however, can create more problems than conveniences because of the varying levels of services each one provides. Small business owners should always run through the list of questions provided above before choosing a bank for their business.